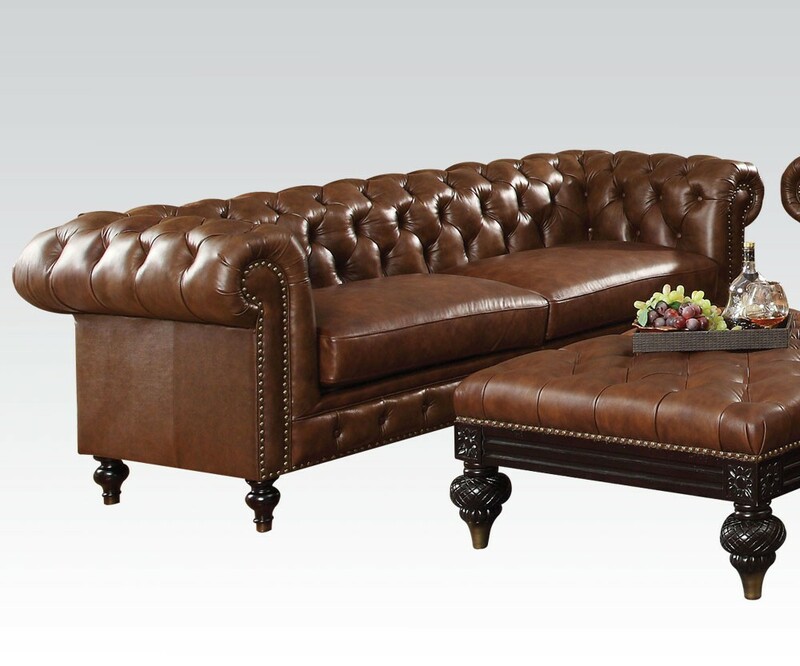 Shantoria living room set in brown guarantees to bring luxurious traditional design into your home. 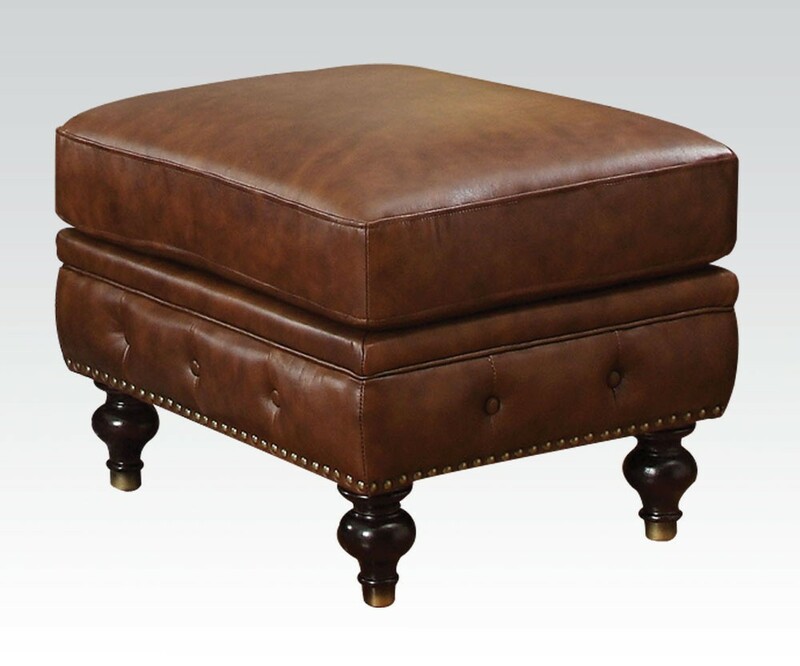 Wrapped in brown leather bottom tufted backs and bottom accented by antique nail heads. 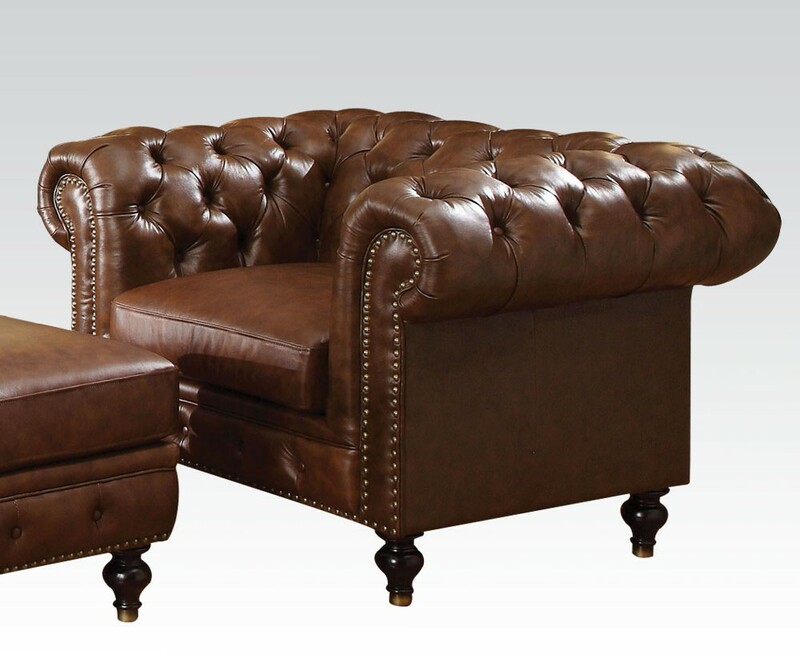 Elegant rolled arms on comfortable seats with dark brown ball shape legs. 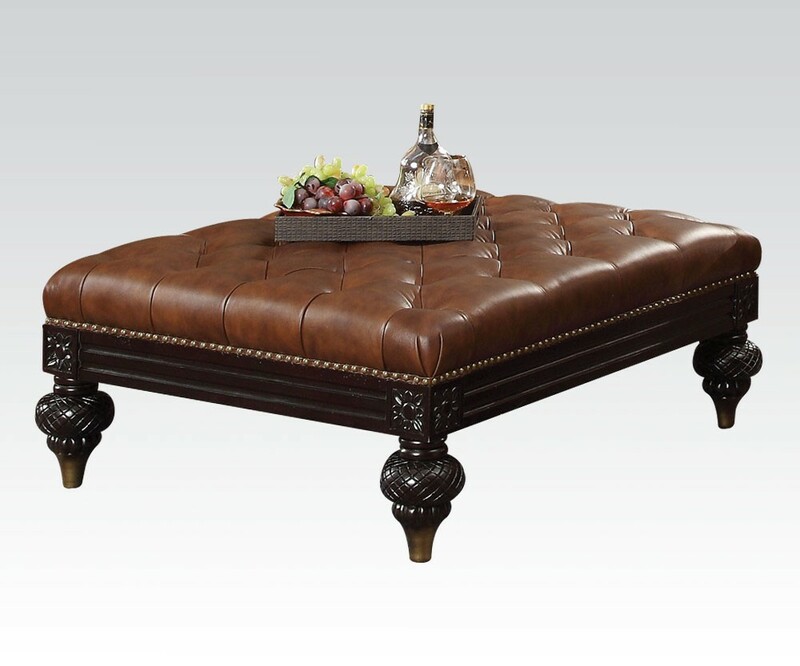 To complete your collection add a regular and oversized ottoman which can easily serve as a coffee table.